'Hancock's Half Hour' was one of the most successful series ever made. Between the years of 1954 and 1961 the BBC broadcast 101 radio episodes and 59 television episodes of 'Hancock’s Half Hour', featuring one of the greatest comic talents to ever emerge from this country. Indeed, it might be said that Hancock defined British sitcom as we know it today. 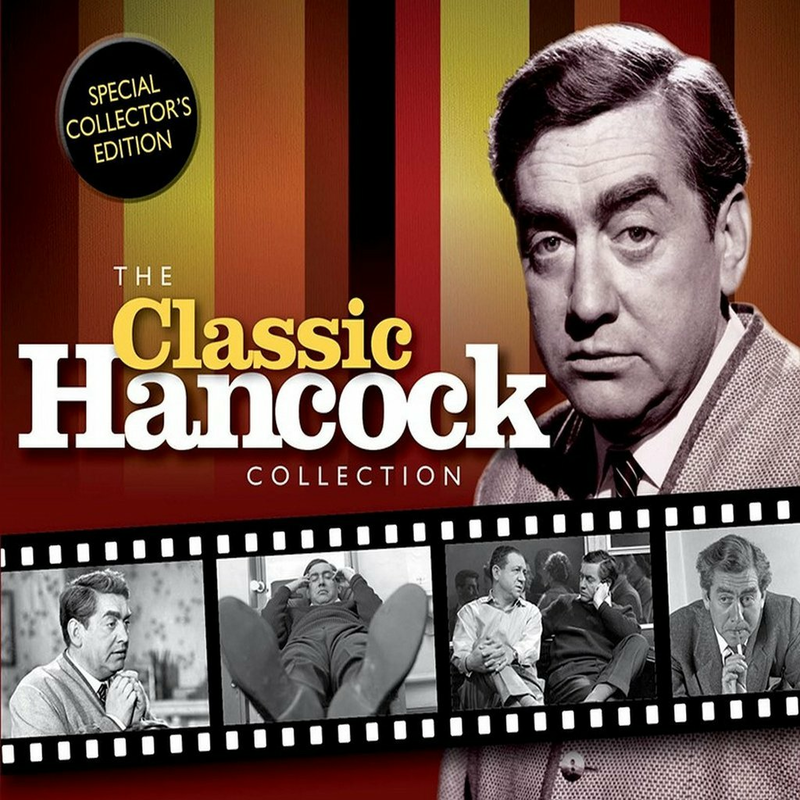 The master of misery, Tony Hancock ... ably supported (and irritated) by Sid James, Kenneth Williams, Hattie Jacques, Bill Kerr, and others; yours by way of a 3 CD special collector's edition box set. Featuring 8 classic comedy sketches, including: The Radio Ham • The Blood Donor • The Wild Man Of The Woods • Sunday Afternoon At Home • The Publicity Photograph • East Cheam Drama Festival • The Threatening Letters • The Secret Life Of Anthony Hancock (extract from the ‘Test Pilot’ – taken from ‘The Diary’).